Today I am featuring Coastal Art Maps. 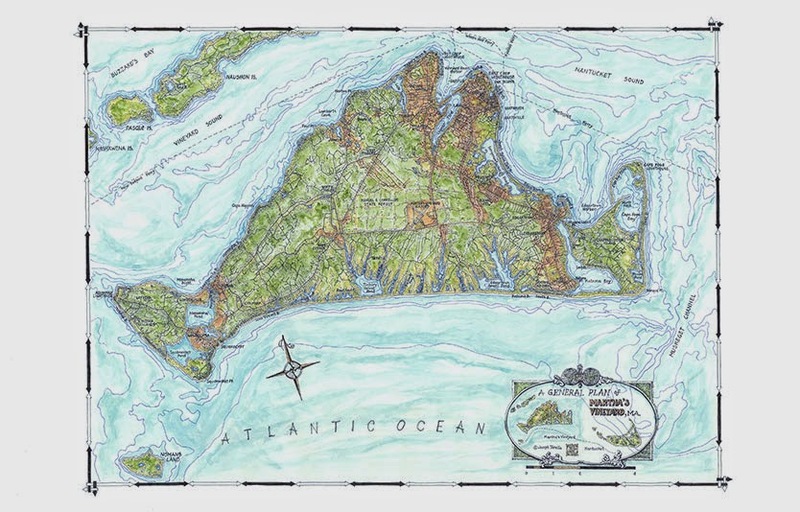 Coastal Art Maps offers a variety of hand-drawn maps commemorating the beautiful beaches and islands from New England to Florida. The collection includes the New York-New Jersey-Delaware shoreline, New England islands Martha's Vineyard and Nantucket, and the Florida Keys. Artist Joseph S. Tarella creates stunning artwork using pen-and-ink and watercolor washes. You can find all of the maps here. I think these would be perfect in a nautical bedroom or beach cottage. Gift them to someone as a housewarming or anniversary present to commemorate a favorite (nautical) spot! I am hoping they will add some west coast maps eventually! Ooh love that Martha's Vineyard map! !